On the sixth of April, 1830, 161 years ago yesterday, a group of men and women, acting in obedience to a commandment of God, assembled in the house of Mr. Peter Whitmer to organize The Church of Jesus Christ of Latter-day Saints. 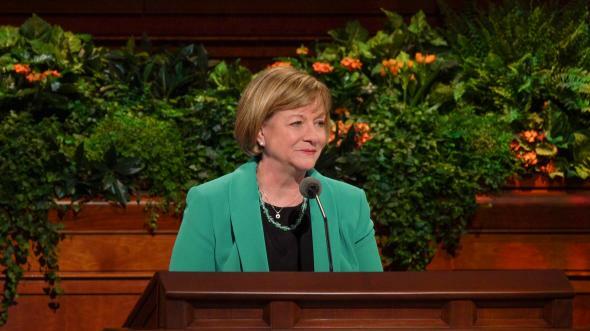 This church, in whose annual worldwide conference we are gathered today and that had been prophesied to be a latter-day marvelous work and a wonder, has come forth from the most humble of beginnings. 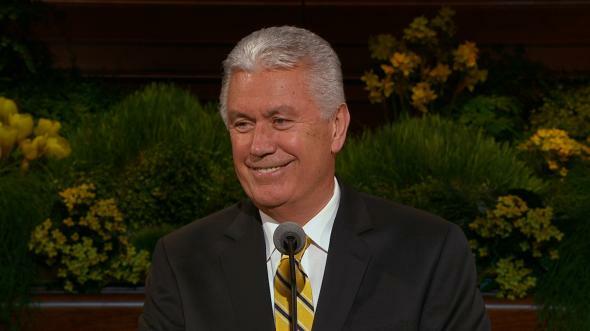 Six men comprised the total membership of the Church that day. None of them laid any claim to special learning or significant leadership. They were honorable people and respectable citizens but were virtually unknown outside of their own immediate neighborhood. We can get a good picture of the moral and economic atmosphere of the circle of six from the description in the History of the Church of one of the local citizens, Mr. Joseph Knight. The history states that he “owned a farm, a grist mill and carding machine. He was not rich, yet he possessed enough of this world’s goods to secure to himself and family, not only the necessaries, but also the comforts of life. … [He] was a sober, honest man, generally respected and beloved by his neighbors and acquaintances. He did not belong to any religious sect, but was a believer.” (History of the Church, 1:47.) Of such ordinary, honest people was the group composed who assembled in Peter Whitmer’s house in Fayette, Seneca County, New York, more than a century and a half ago. Most of life’s momentous hours are recorded, but what these men did on that humble occasion would not have given the world much reason to take note. What they did, however, ranks among the most important events ever to have transpired since the death of Jesus and his Apostles in the meridian of time. These humble, ordinary men gathered because one of them, Joseph Smith, Jr., a very young man, had set forth a most remarkable claim. 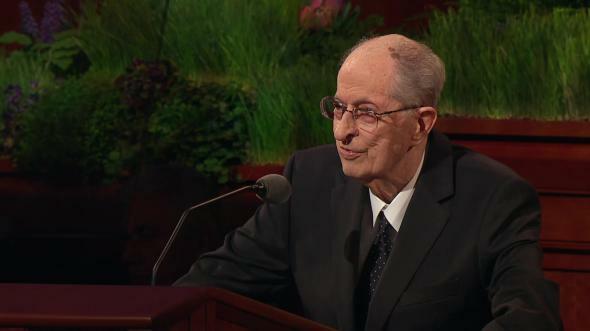 He declared to them and all others who would listen that he had received profound and repeated heavenly communications, including an open vision of God the Father and his Beloved Son, Jesus Christ. As a result of these revelatory experiences, Joseph Smith had already published the Book of Mormon, a record of Christ’s dealings with the ancient inhabitants of America. 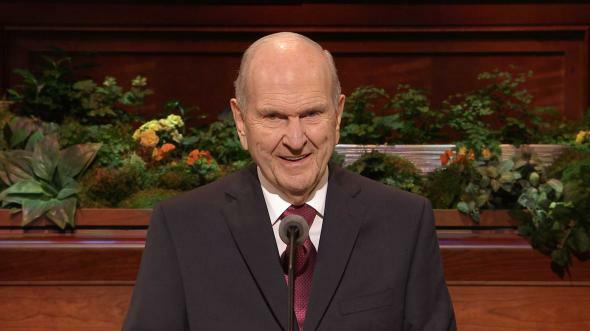 Furthermore, the Lord had commanded this young man, by now only twenty-four years of age, to reinstitute the Church that had existed in New Testament times and that in its restored purity should again be designated by the name of its chief cornerstone and eternal head, the Lord Jesus Christ himself. Thus, humbly but most significantly was opened the first scene in the great Church drama that eventually would affect not only that generation of men but the entire human family, including everyone within the sound of my voice today. A humble beginning, yes, but the claim that God had spoken, that Christ’s Church was again organized and its doctrines reaffirmed by divine revelation, was the most outstanding declaration made to the world since the days of the Savior himself when he walked the paths of Judea and the hills of Galilee. “And they took him, and brought him unto Areopagus, saying, May we know what this new doctrine, whereof thou speakest, is? “Then Paul stood in the midst of Mars’ hill, and said, Ye men of Athens, I perceive that in all things ye are too superstitious. Surely from an intellectual standpoint and in terms of formal education, Joseph Smith was as unlearned and wholly untrained in the ministry as Paul was—probably even less learned and trained. Yet something made him very bold in his declarations against the false doctrines pertaining to infant baptism, self-appointed priesthood, predestination, and other erroneous teachings of the day. For the first time in eighteen hundred years, God had revealed himself as a personal being. Furthermore, the Father and the Son demonstrated the undeniable truth that they are separate and distinct personages. Indeed, the relationship of the Father and the Son was reaffirmed by the divine introduction to the boy prophet, “This is My Beloved Son. Hear Him.” (JS—H 1:17.) Those who were baptized into the Church on the sixth of April, 1830, believed in the existence of a personal God; they believed that his reality and the reality of his Son, Jesus Christ, constitute the eternal foundation upon which this church is built. Once we accept Christ as divine, it is easy to visualize his Father as being just as personal as he. Christ said, “He that hath seen me hath seen the Father.” (John 14:9.) 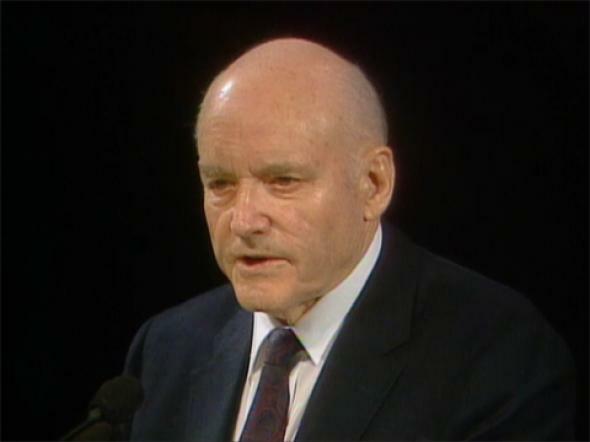 Faith in the existence of a divine and real and living personal God was the first element that contributed to the perpetuity of the Church of Jesus Christ in ancient times, and it is the everlasting foundation upon which The Church of Jesus Christ of Latter-day Saints is built today. On April 6, 1830, the Church was officially organized with its six members. That action was largely unknown to the world at that time and would only come to be known to the extent that it contained and radiated eternal principles that harmonize with all other truth coming from God, the author of all truth. Only thus, through its truthfulness, could it and would it ever become a marvelous work and a wonder. Today, from those humble beginnings those many years ago, there are units and members of that Church almost literally around the face of the earth. The marvelous progress in transportation and communication has made possible the promulgation of these truths of the restored gospel to the children of men nearly everywhere in the world. Millions in America, Europe, Asia, Africa, and the islands of the sea not only have been able to hear but, in millions of cases, to accept and commit to these saving principles of the gospel of truth. We represent and speak today for a worldwide Church, the organized and established kingdom of God on earth. I bear you my testimony that the church organized in obscurity 161 years ago yesterday is indeed the church of Jesus Christ. I declare that God lives, that he is a personal God who hears and answers our prayers, that he is the Father he has always declared himself in scripture to be. He is undoubtedly more than we can fully understand him to be, but he is certainly not less than we understand. 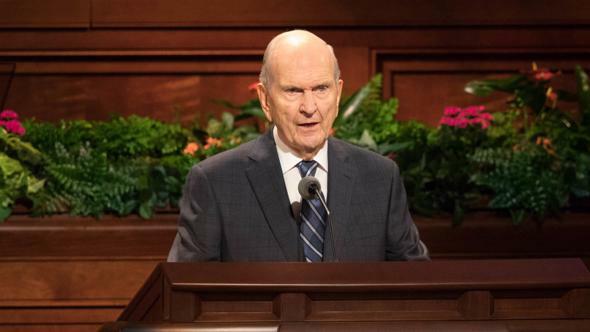 I testify that Jesus Christ is his Only Begotten Son, the Savior of the world, and that the Father and the Son did appear to the Prophet Joseph Smith to initiate this great rolling forth of the latter-day work in our time. 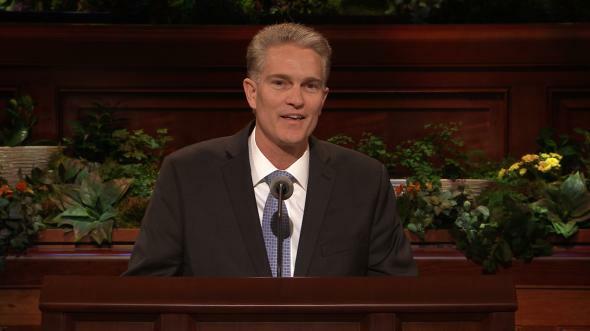 I testify that the boy prophet, who in so many ways remains the central miracle in the 161 years of this church’s experience, is living proof that, within God’s hands and under the direction of the Savior of the world, weak and simple things should come forth and break down the mighty and strong ones. On this anniversary season of the organization of the Church, I bear testimony of its truthfulness in the name of Jesus Christ, amen.